TEIN has over 20 years of suspension tuning experience and is one of Japan's largest aftermarket suspension manufactures. 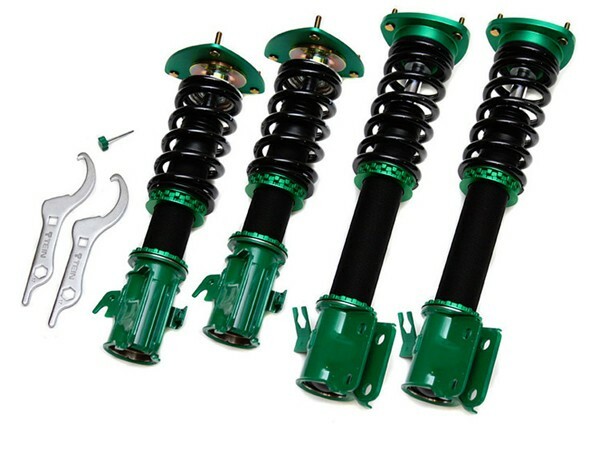 Street Flex: The Street Flex suspension is latest design offered by TEIN. 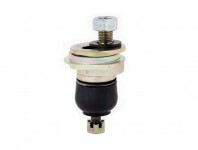 The Street Flex is intended for a performance street driven vehicle utilizing hard rubber bushings which allow good suspension response while decrease noise to the cabin. Street Flex uses a more economical design with twin tube steel body construction that still offers a high level of suspension response. Mono Sport: The newly introduced Mono Flex is TEIN's dual purpose street/track coil over suspension. The Mono Flex differs from the Street Flex by adding spherical bearing top mounts and a mono-tube design that increases damper response time and increases the consistency of the performance once the dampers begins to heat up from aggressive driving. The Mono Flex suspension is valved slightly more aggressively than the standard Flex and is ideal for street & track use. The Mono Flex has the same 16-way adjustment and is compatible with the EDFC system. TEIN's new Electronic Damper Force Controller allows in car adjustment of the suspension's valving. An in-car control unit (see photo) controls independent servo motors at each corner. The driver may select between user-defined pre-set levels, or adjust within a 16 position range. The EDFC system is compatible with the Type Flex and Mono Flex suspensions only.